Dubai: The ICC and Emirates Cricket Board have given their sanction to a new T10 Cricket League, which will see six teams comprising both international and local players in competition at the Sharjah Cricket Stadium from Dec.21-24, 2017. The Mulk brothers of the Mulk Group are long-time supporters of not only cricket in the region but also badminton. A former India-ranked shuttler and head of the Global Hawk Diagnostics Centre, Dr Shafi Ul Mulk is also co-owner of the Kerala Kings side at the T10 tourney. 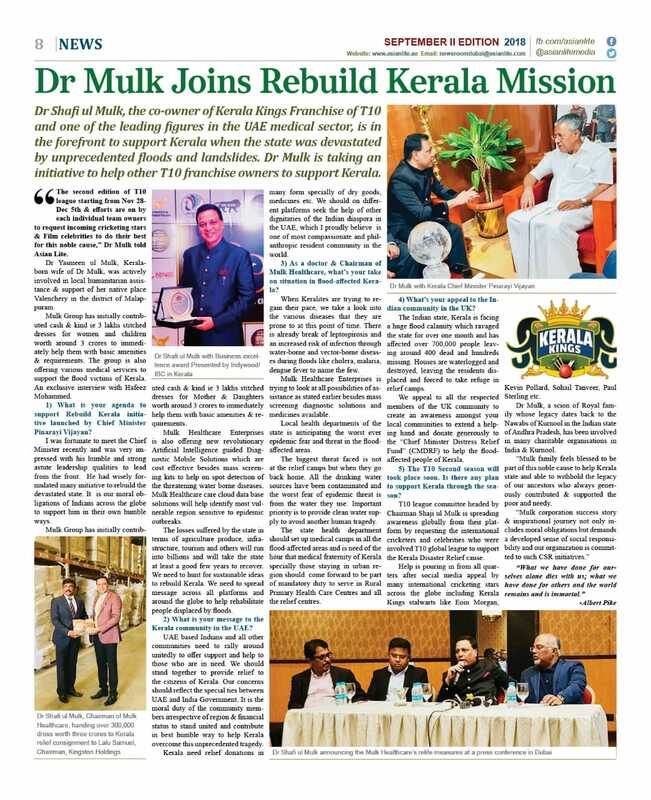 Mulk and his partner Hussein Ali, owner of Swiss Arabia, have jointly committed to a multi-million-dirham investment in the Kerala Kings team for the next 10 years. Dr Shafi’s brother, Shaji Ul Mulk, an accomplished former cricketer is the mastermind behind this brand new T10 venture. Leading the Kerala Kings will be English skipper Eoin Morgan, with the team’s composition to be decided after the auction as will be the case for the rest of the five teams in the fray. The other international names donning ‘ambassador status’ for the tournament are top-notch names like Virender Sehwag, Chris Gayle, Kumar Sangakkara, Shakib Al Hasan and Shahid Afridi. 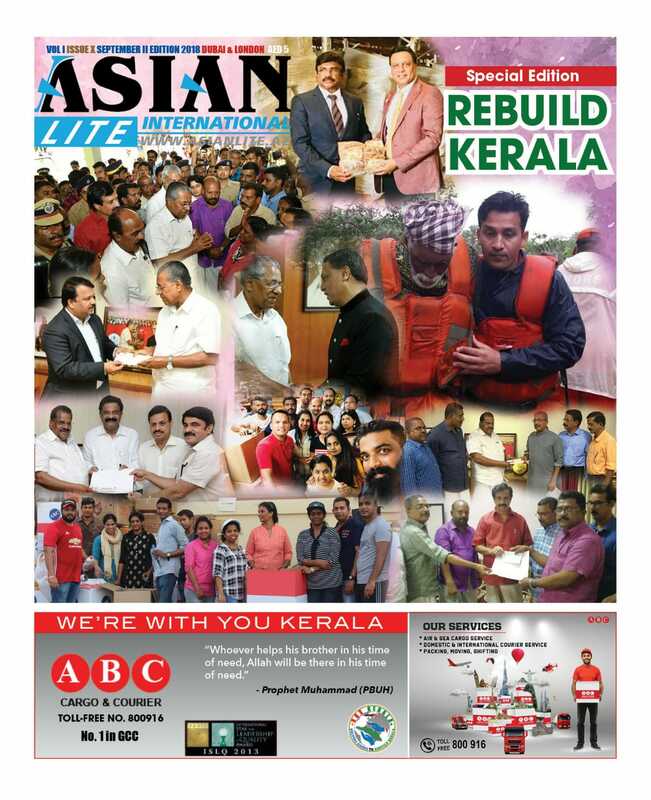 For the UAE, this event will not only be unique but also a first-of-its-kind in many respects, and the Kerala Kings, with their big fan support in this part of the world, will be a side that will be difficult to contain. 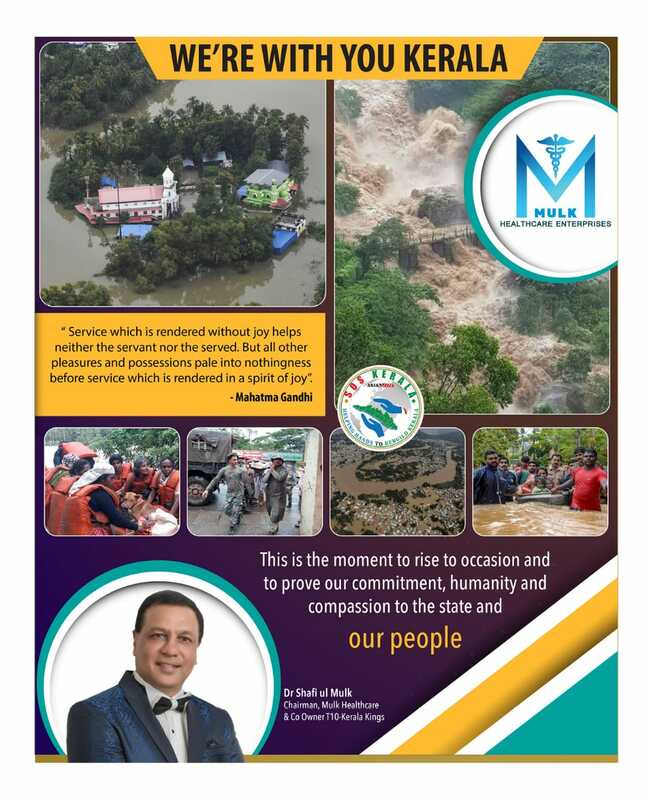 Dr Shafi, who also heads the Mulk Healthcare organisation, said, “We are delighted to acquire the Kerala Kings franchise for Dhs32 million over the next 10 years, considering the huge Malayalee diaspora following the game in the region.” The team’s off-the-field ambassadors include Iniya and Meera Nandan besides a host of other south Indian glamour world personalities. Meanwhile, Morgan, one of the event’s six iconic players, told media persons that the tournament is cricket’s new revolution, what with matches lasting 90 minutes, the same duration as in football.